Part B(catalyst):40g/bottle, 0.2kg/bottle,1kg/bottle , and 2kg/bottle. RTF30 is a liquid compound which cures at room temperature to a medium density foam with a curing agent. The product is a two-component compound, supplied in kit form. Thorough mixing of the curing agent with the base compound initiates the chemical reaction which results in the formation of foam within 20 minutes at room temperature. High temperatures (above 38C [l00F]) in the working areas should be avoided to prevent premature expiration of the working time. Surfaces and mixing containers should be clean and dry before use. Mixing container should be filled to only one-fourth of capacity to allow adequate room for stirring and expansion. WARNING: This product expands by the evolution of hydrogen gas. Mixing and handling of catalyzed material should be done in well ventilated areas away from sparks, flames or other sources of ignition in and above the work area. 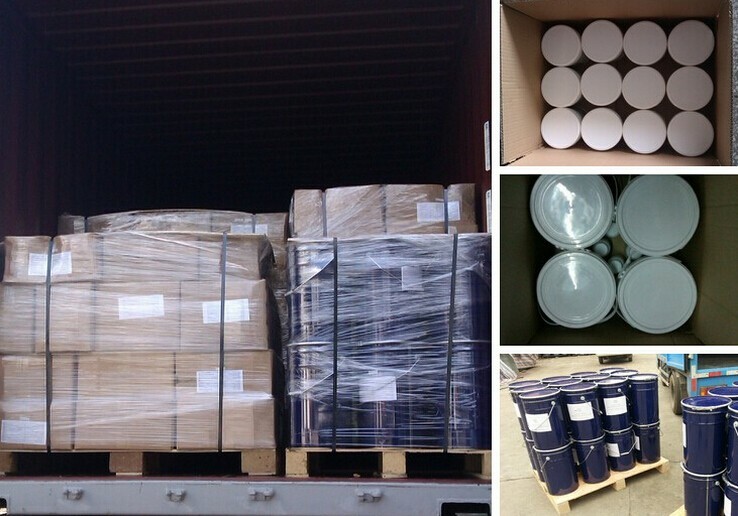 RTF30 base compound is mixed with RTF30B curing agent in a 1:1 ratio by weight. The base material and curing agent are supplied in specially packaged kits, premeasured in a 1:1 ratio. When using less than a full kit, both base compound and curing agent must be weighed and measured to insure the proper 1:1 blend ratio. Mixing may be done by hand or machine. When hand mixing, use a clean, flat-bladed spatula or paint stirrer. Material clinging to sides and bottom of the container should be folded into main contents twice during the mixing cycle. Using a power mixer, a 30 second cycle is usually required for thorough mixing. Avoid high mixer speeds for prolonged periods which could cause heating of the material and resultant shortening of the pour time. Automatic dispensing machines designed to meter (weigh), mix and dispense silicone foam materials will reduce the necessary preparation for use where volume is sufficient to justify investment. 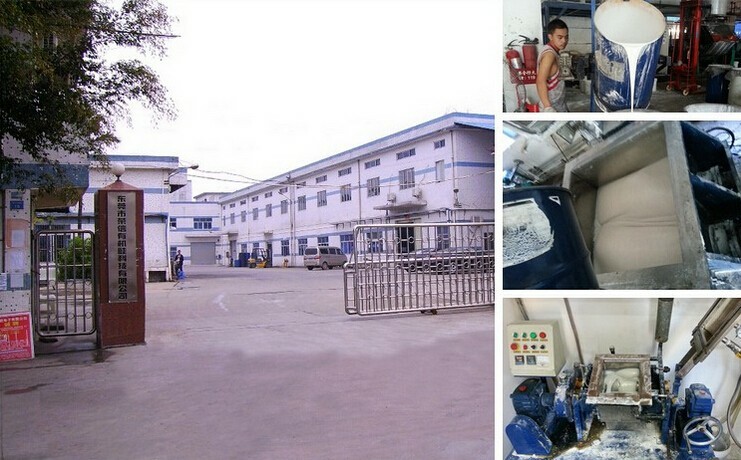 Dongguan Rongxin Silicone Technology Co., Ltd. was founded in 1999, and is located in Dongguan, Guangdong. We are a professional silicone material manufacturer, integrating the R&D, production and sales. Main products are Condensation molding silion rubber, Addition molding silicone rubber,Addition electronic potting silicone rubber,Condensation electronic potting silicone rubber,leather printing roller silicone rubber,LED strip light silicone rubber,human casting silicone rubber and so on. All of our products are with high quality and have got I S O, RoHS, Reach and SGS certificates. Our customers are from all over the world. If you are interested in our products, please feel free to contact us for further information. Thanks for visiting my web,if you want to know more about us,pls feel free to contact me any time.